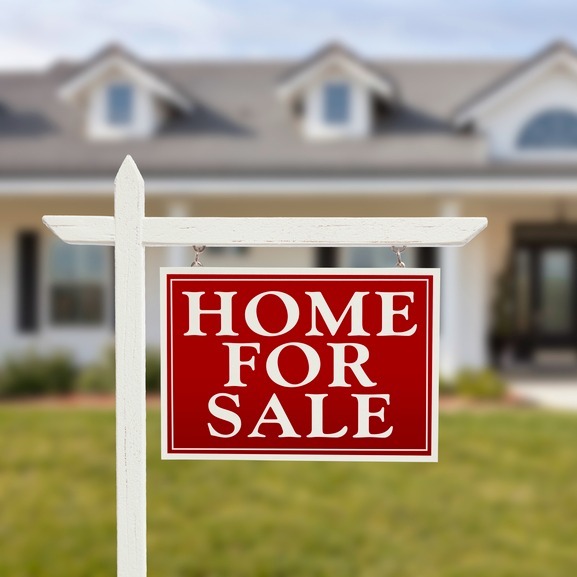 If you’ve ever been involved in a real estate transaction before, you’re probably familiar with the term double closing. That’s an arrangement where you buy a new home on the very same day that you sell your old one. In a perfect world, you close on your old house in the morning, and then on the new house in the afternoon. Sometimes that arrangement actually works. Other times it’s enormously stressful. If you’ve ever been involved in the stressful kind of double closing, then you know why it’s something to be avoided at all costs. If you have two closings scheduled for one day, and the first one doesn’t happen, the second one won’t either. And because of the lack of time separating the two closings, there won’t be an opportunity to fix whatever went wrong with the first closing in order to make the second one happen. Most people try to work a double closing because they need to sell the old house before they close on the new one. Typically, they need the proceeds from the first sale in order to pay for the purchase of the new home. In addition, the mortgage lender is probably requiring the sale of the first property in order for you to qualify for the mortgage on the new home. Beyond these basic requirements, you probably would be thinking that if you could close on both properties on the same day, you would avoid the need to stay at a hotel and have your belongings in remote storage in between closings. But sometimes that’s exactly what you need to do. If the purchase of your new home is contingent upon the sale of your current one – whether you need the proceeds for the down payment on a new one, or the lender is requiring the sale – you need to make a priority of selling your old home first. The purchase of the new home won’t happen if you don’t. Selling a house is almost always more difficult than buying a new one. That’s because you are at the mercy of finding a willing buyer, and their timeframe after you find one. When you’re buying a home, you have more control of the timing factor. If it’s at all possible, you should concentrate first on selling your current home. Once you do, you’ll know exactly how much cash you’ll have for the down payment, and you will have removed the old obligation, enabling you to more easily qualify for the mortgage on the new home. In addition, trying to work two real estate transactions at the same time – and closing on the same day – is enormously stressful. A problem with one translates into an automatic issue with the other. Okay, you decide you’re going to sell your old house before buying a new one. What do you do in the meantime – and how much will it cost you? One strategy that you can use to avoid a double move, is to sell your house and then lease it back from the buyers for the next 30 days or so. You’ll have to pay an agreed upon monthly rent – but then if you still own the property you would have a house payment anyway. It’s a matter of paying rent, rather than your regular mortgage payment. Meanwhile, you won’t have to move your furniture into a storage unit anywhere. Armed with the cash from the sale of the house, you’ll be in a position to more easily purchase a new one. Just as important, home sellers love when buyers don’t have the contingency of having to sell their current home. In a real way, closing on your current home and renting it for time will make you a more attractive buyer for the home that you want to buy. This is reversing the situation described above. You close on your old home, then move into the new one – complete with your furniture – pending the closing at a later date. You’ll have to pay rent to the seller, but again this just replaces the payment you have on your old home. This isn’t possible to do in all cases, but the seller may appreciate the fact that you are a “clean buyer,” by virtue of the fact that you have sold your old home, and are fully ready to close on the new one. Naturally, you’ll want to make sure that you have a solid pre-approval on your new mortgage before getting into this type of arrangement. That, in addition to the fact your old home is been sold, will make you a very desirable candidate for this type of arrangement. There’s a third way to do this that isn’t as pretty as the last two options, but it will get the job done. You sell your house before closing on the new one, and then move into a hotel in the interim. Your furniture stays either in your old home, or is moved to the new one. And again, there may be a rental for this arrangement, but it’s likely to be far smaller than what you would pay for a remote storage facility. If you are storing your belongings in your old home, you close on the property but get an agreement to leave your furniture in a specific part of the house, typically the garage or the basement. Once you close on the new house, you complete the move. Alternatively, you can close on the old house, and set up an arrangement to move your belongings to the new one. Again there will be a monthly rental, but this will be easier to bring about because you sold your home and you have a mortgage pre-approval. Selling one home and buying another is never easy. These methods of avoiding the double closing won’t be pretty, but they will help you to avoid the financial stress that comes with trying to close on two properties on the same day. Have you ever tried these methods, or have you simply attempted the double closing? Leave a comment! Both leasing options are bad choices for many reasons. I almost always advise against these options because the one leasing becomes a landlord, with all the problems associated with this status. Also, as a tenant, you are going to pay a premium far above what it will likely cost to stay at a hotel and have your household goods stay on the truck for a few days until your funds are clear. A far better option is to have funds from the sale of your house wired to either your lawyer or title/trust company’s account, to allow for quickest clearance and allow you to make your purchase more quickly. My storing advice is to not try to do both in the same day, as you will need to be sure your purchase after sale is clear without inspection issues, and with the ability to review your closing documents with your closing agent (lawyer or title company). Really Interesting Finding, Thank you So Much for This Valuable Article. it’s Really Helpful for Us. Keep up this Nice Writing. Thanks. I would probably choose to move in with family members while waiting for the new house. Very Helpful Article for every Blogger, Thanks for Share.